My dishwasher did not drain after washing a load of dishes. I like my dishwasher and it is barely four years old. I really hoped I could fix my broken dishwasher because I do NOT want to go through The Great Dishwasher Research Hunt again. 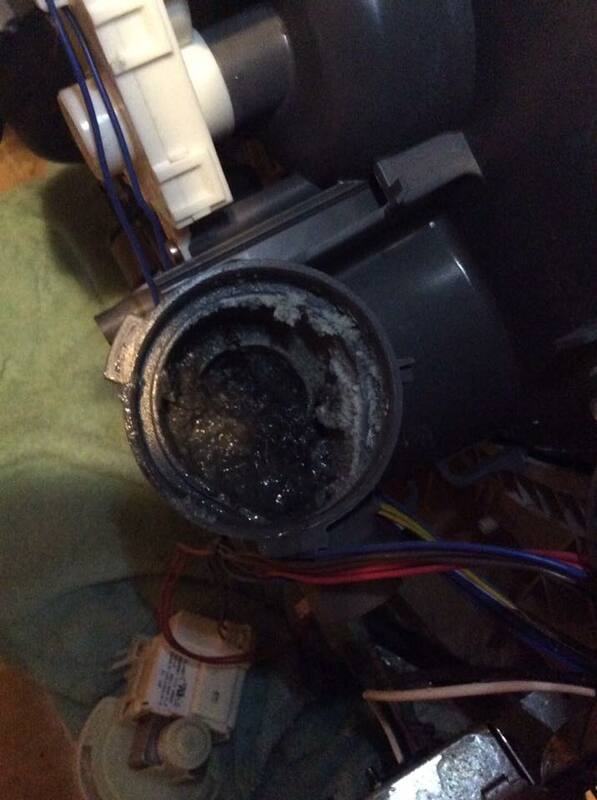 Basically there are a series of filters and pumps in a dishwasher that can become clogged through normal use, not rinsing dishes, or in my case my bad habit of not removing paper labels from jars before I stick them in the dishwasher clogged the drain pipe. This little exercise cured me of that habit. Unclogging a dishwasher drain pipe is much easier than the dozens of YouTube videos I consulted make it out to be. The most difficult part of the process is dealing with the vile stench of the clog because I’m a baby about bad smells. Pin this tutorial for reference later! Every brand of dishwasher is put together differently. 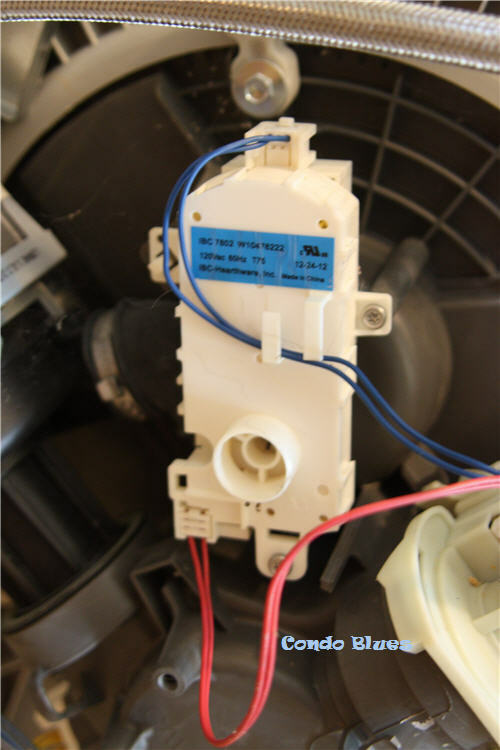 This tutorial will give you the basic idea of what you need to do on your dishwasher or if calling a repair person to do it for you.The photos show my Kenmore dishwasher. Old Towels – always a good thing to have an hand when you are working around water! 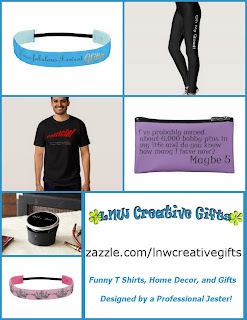 I’m always thinking about my amazing readers like you and that's why I share ideas like these. When you get this goodie, I might get a few coins thrown my way that keeps me supplied with enough coffee and household electricity to keep bringing YOU free DIY ideas like this every week. Thank you for your support! 1. Use the wet/dry vac to remove all of the standing water in your dishwasher if needed. 2. 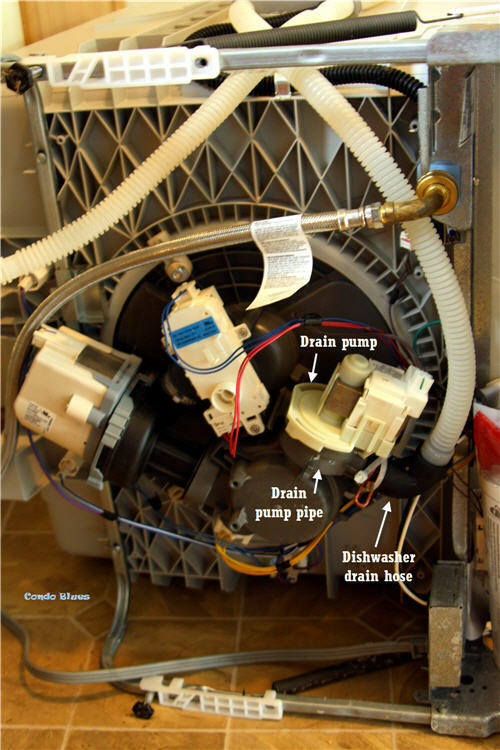 Inside the dishwasher is usually a screen and filter underneath the spray arm that can collect food particles on their way to the garbage disposal in the bottom of the dishwasher near the pump. Remove the prescreens from inside of the dishwasher and clean them in a sink full of liquid dish soap and water. For my dishwasher I have to twist to unscrew the center of the dishwasher spray arm to get to remove the screen and filter below in the same way. I also used a vinegar rinse to remove a weird film from my plastic screen I didn’t know wash there after the through washing with dish soap so I recommend following the screen cleaning with soap with a vinegar rinse. 3. Reassemble the dishwasher filter, screen, and spray arm. Run a short test cycle using vinegar to flush the rest of the junk out the filters in your dishwasher. If the dishwasher drains, congratulations! You fixed your clogged dishwasher! If not you need to move on to Step 4. 4. TURN OFF THE ELECTRICITY TO YOUR DISHWASHER AT THE BREAKER BOX. Do not skip this step. You will be unplugging electrical connections around water. As we all know water and electricity are not friends. So for safety’s sake, turn off the electricity to your dishwasher before moving on to Step 5. 5. 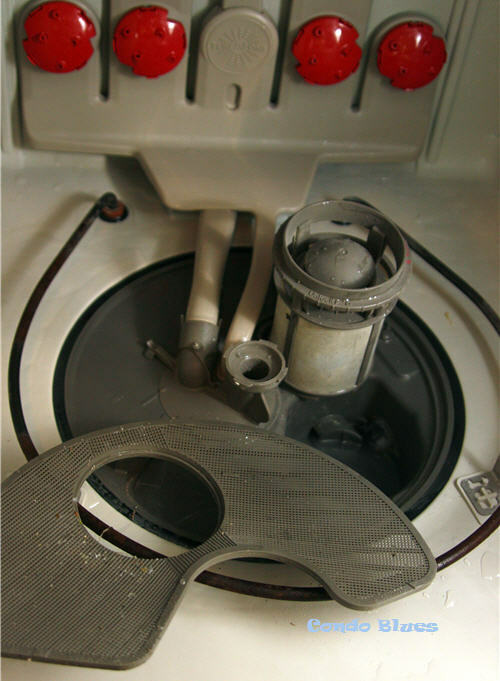 Use the wet/dry vac to remove any standing water inside your dishwasher if needed. 6. Use the screwdriver to remove the screws holding the dishwasher to the cabinet and carefully slide the dishwasher out from the cabinet/counter top. My dishwasher is held in place by two simple screws and slid out easily because it is lighter weight than my old dishwasher. Everything I read about this step made it seem horrifically hard. It wasn’t. 7. Lay the dishwasher on its side so you can easily access the drain pumps on the bottom of the dishwasher. There may be a bit of water left in the pipes so keep those hold towels handy! 8. 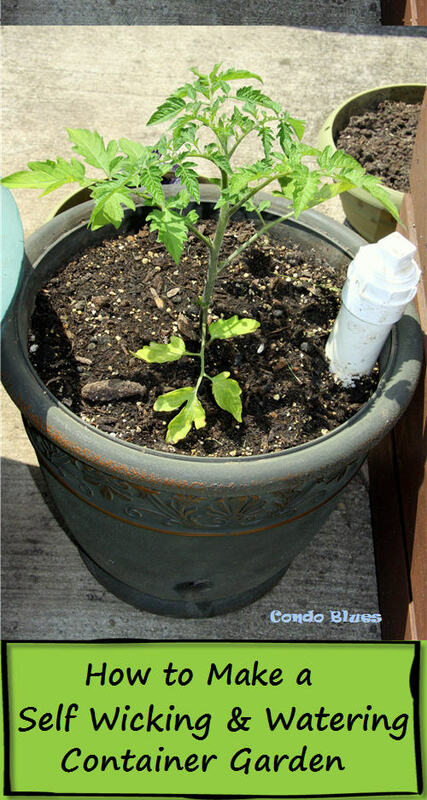 Unplug the two electrical connections from the drain pump. Tip: Take a quick photo with your phone first so you remember how to reconnect them properly later. Again, this may look different on your brand of dishwasher than the one shown here. 9. Remove the drain hose from the pump assembly, check it for clogs, clear it if necessary, and reattach the drain hose to the pump. I added a couple of cable ties to keep the drain hose in place, after the first time of trying and failing to reattach it properly. Oops. 10. Unscrew the drain pump motor counter clock wise to remove it and use the vet dry vacuum and old towels to clean any gunk on the motor and/or blocking the drain pump pipe. This clog is why my dishwasher will not drain. Thank your lucky stars the Internet does not have Smell-O-Vision and Odorama! 11. 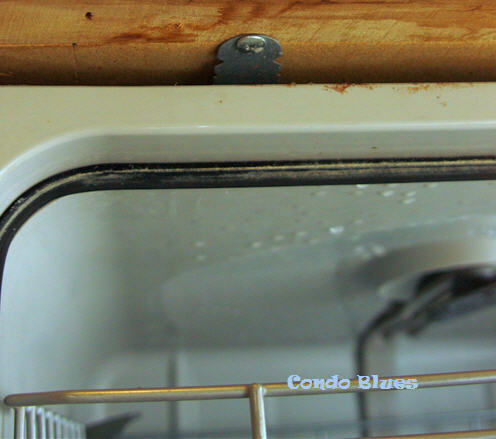 Reattach the drain pump, connections, and dishwasher to the cabinet by reversing Steps 8 to 4. 12. Run a test cycle with vinegar to clean out any wee gunk bits you may have missed. If the dishwasher drains, congratulates you unclogged your dishwasher, you are done! If not, it may be time to call a pro to take a look. 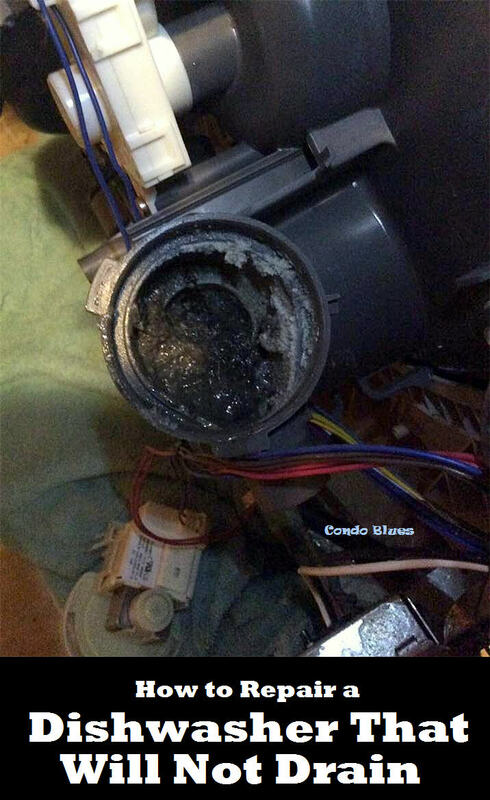 Your efforts won’t go unrewarded because you just saved yourself a couple of hours of service fees because chances are a plumber will check for debris clogging your dishwasher drain pipes first thing.